Nothing says fall like Pumpkin Spice and Apple Cider. 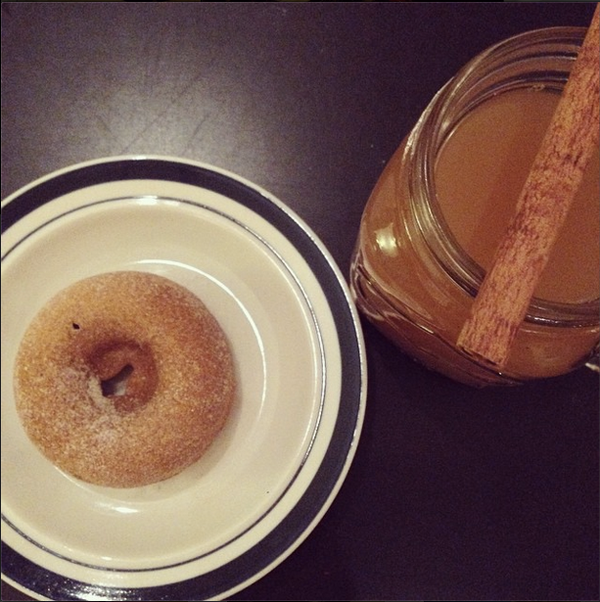 This past weekend my husband and I decided to stay in on Saturday to bake some Pumpkin Spice Doughnuts and have a date night with some Hot Spiked Apple Cider. Both are incredibly easy to make and are perfect for a fall night in. 1) Preheat the oven to 350°F. 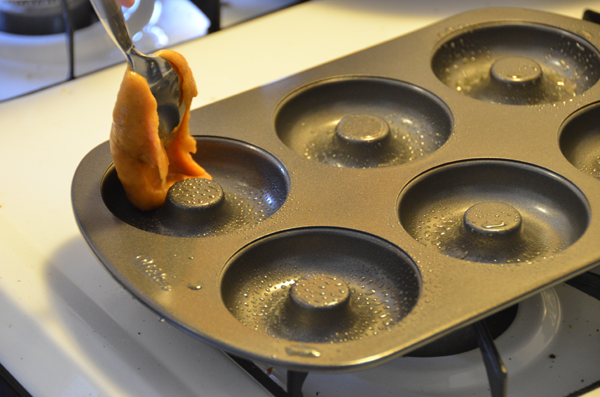 Lightly grease your doughnut pans (or pan). 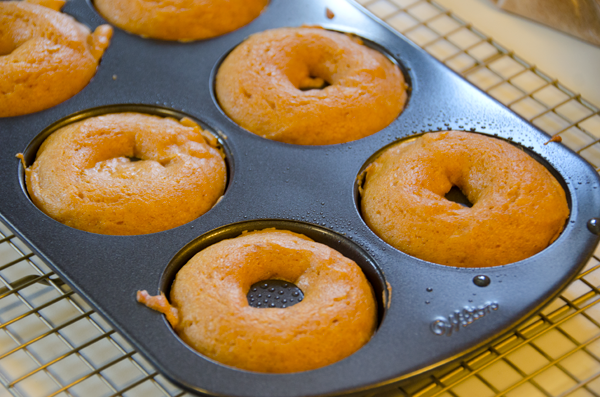 If you don't have doughnut pans, you can bake these in a standard muffin tin; they just won't be doughnuts. 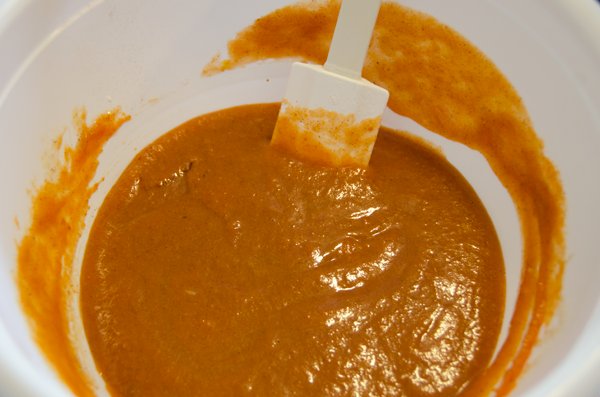 2) Beat together the oil, eggs, sugar, pumpkin puree, spices, salt, and baking powder until smooth. 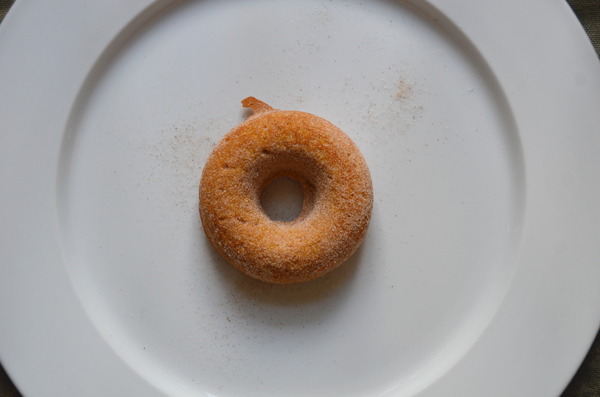 5) Bake the doughnuts for 15 to 18 minutes, or until a cake tester inserted into the center of one comes out clean. If you're making muffins, they'll need to bake for 23 to 25 minutes. 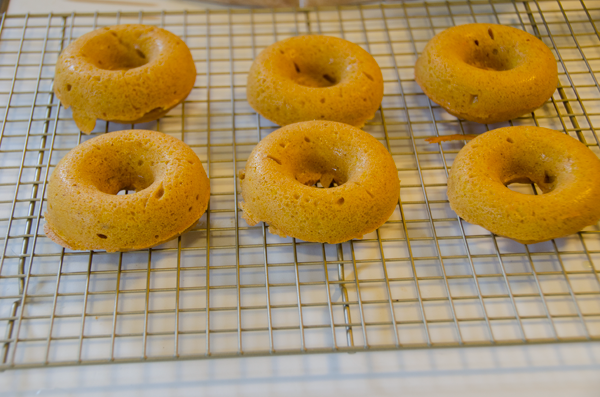 6) Remove the doughnuts from the oven, and after about 5 minutes, loosen their edges, and transfer them to a rack to cool. 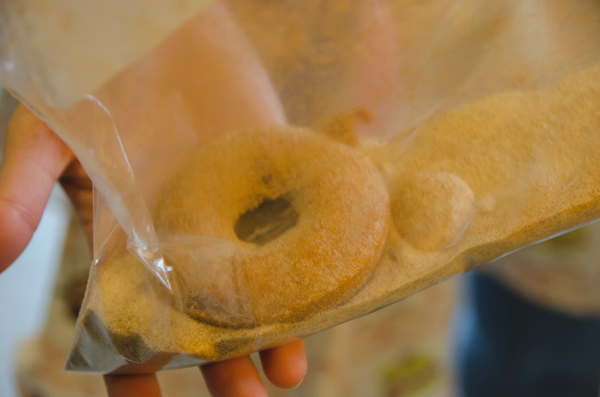 7) While the doughnuts are still warm (but no longer fragile), gently shake them in a bag with the cinnamon-sugar. 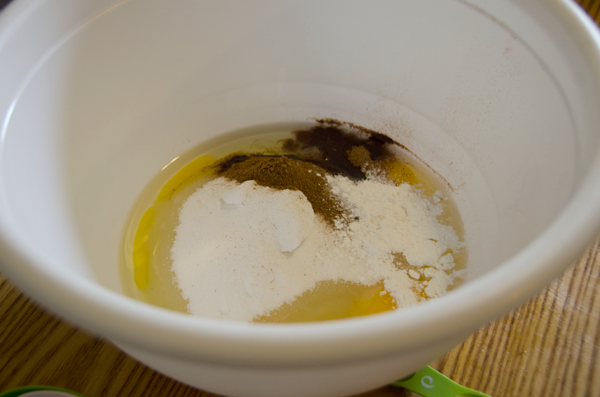 If you've made muffins, sprinkle their tops heavily with cinnamon-sugar. 8) Cool completely, and store (not wrapped tight) at room temperature for several days. 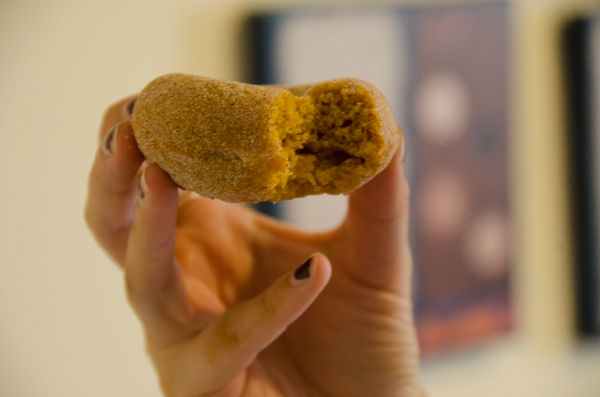 My husband and I also made pumpkin spice-sugar which we coated our doughnuts in. 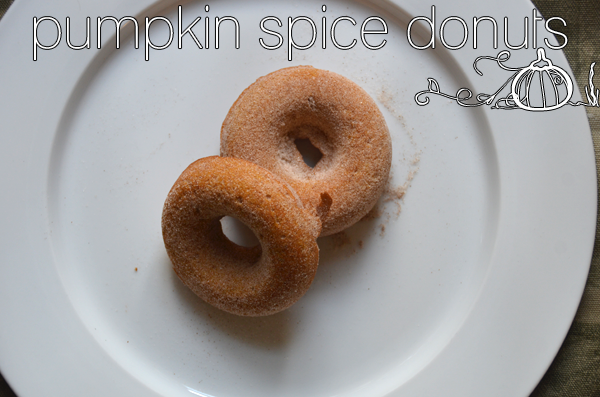 I actually preferred the pumpkin spice-sugar coated ones more, never enough pumpkin spice. We had to wrap ours due to our little kitten who gets into everything so they went soggy by Sunday night. I think when (because we will) we make these again I'll do a glaze over them instead. 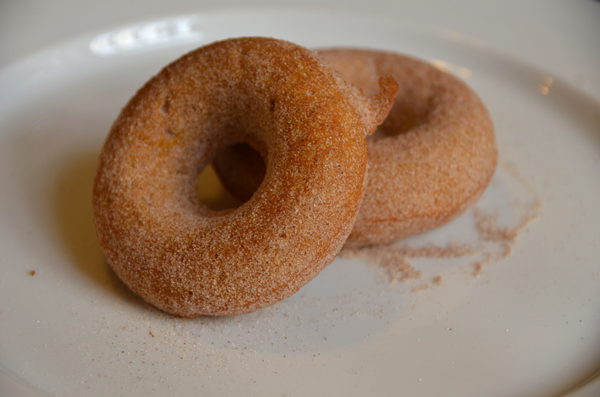 But what kicked these doughnuts up a notch was the Hot Spiked Apple Cider! 1) Boil the Apple Cider and all the spices, then reduce to a simmer and cook for 30 minutes. 2) Strain the spices and orange peel. Serve one ounce of rum in each glass and top off with the mulled cider. We used a delicious spiced dark rum but I've seen recipes call for Applejack Brandy. Both of these recipes would be perfect for a Halloween Party or even Thanksgiving (or Friendsgiving). Just remember to drink responsibly!